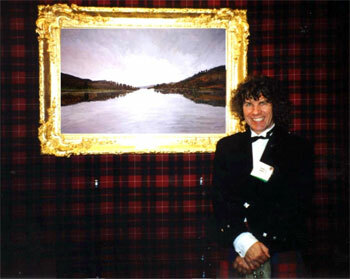 Charles with his painting of Loch Tummel at one of his New York Exhibitions. Charles Harris has exhibited extensively throughout his career. 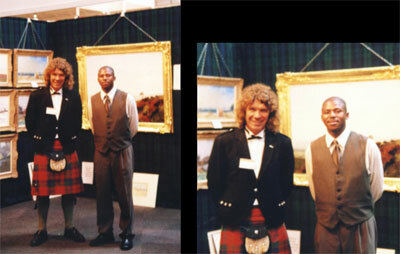 His aim has been to present academic traditional Art and we have given various examples of his ideas from exhibitions in chronological order from the outset of his career at the Royal Academy to the famous World Tour Exhibitions and private exhibitions including an exhibition for the Prince of Wales in Rome. The Royal Academy Diploma Student Exhibition, London, England BA Course. During this period, Charles won both the Royal Academy Bronze Medal and Silver Medal together with the Freedom of the City of London for his work. 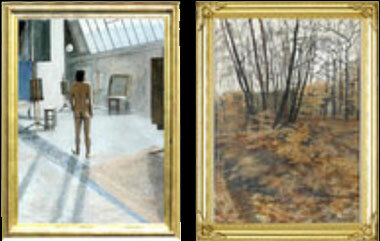 See further examples of these works in ‘Biography’ section and Charles’ prizes in the ‘Awards’ section. The Royal Academy Diploma Student Exhibition, London, England MA Course. Charles also began immediately to exhibit at the Royal Academy Summer Exhibitions and with the various professional societies at the Mall Galleries in London. Charles also exhibited at many other professional societies at the Mall, but with limitations of space we will just mention the names. Charles was elected to membership and associate membership to a number of these societies. In chronological order, Charles also began his career with a series of One-man Exhibitions. 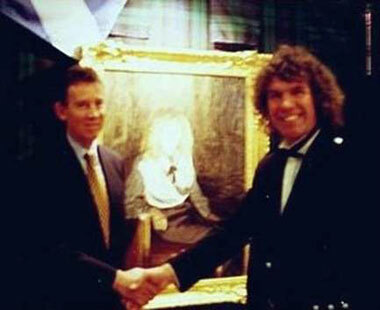 In Scotland, Charles staged three one-man exhibitions over a twelve month period in the City Hall, Perth. At one of these Exhibitions, Charles received more visitors in three days, including an evening private view, than a public museum received in an entire year. The Lord Provost of Perth John Culliven and his wife opening Charles’ Exhibition in Perth with Exhibitions Co-ordinator Victoria Harding. Charles also staged a further one-man show in Paris, France. From the outset of his career, Charles also had work exhibited in major combined exhibitions throughout this period (pre-World Tour exhibitions). Artists of Today and Tomorrow – the New Grafton Gallery Bond Street London. Principal Co-ordinator, Secretary and Exhibitor at the National Exhibition of Artists for Peace, staged in Picadilly London. 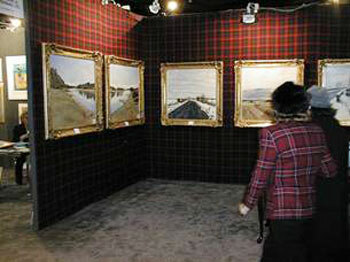 This Exhibition saw the first showing of ‘New Traditional Art™’. 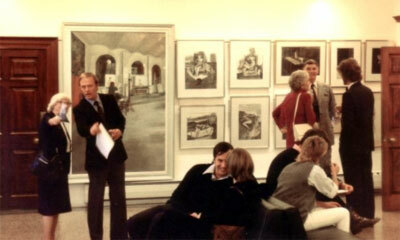 This very large Exhibition drew the support of many, which included a number of Royal Academicians and leading artists at the time, eg: Philip Alder, J. de Araoz, Diana Armfield, Paul Bartlett, Roy Blackman, Norman Blamey, Lawrence Gowing, Rozanne Hawksley, Christine Leadbetter, David Morris, Victor Pasmor, and Ruskin Spear. Charles Harris and Lise Olsen loading work for the BT-Scottish Orchestral Ensemble Touring Exhibitions throughout Scotland. Undismayed by the antics of so-called Modern artists, Charles launched his ‘New Traditional Art™’ onto a world stage with a World Tour of his work. 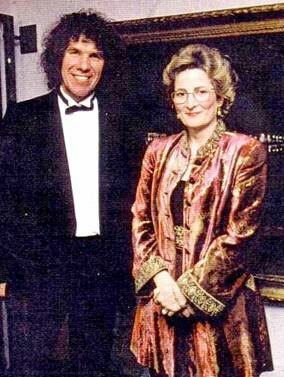 Viscountess Stormont pictured with Charles Harris MA BA Viscountess Stormont was the official Patron for the opening year of the World Tour Exhibitions. 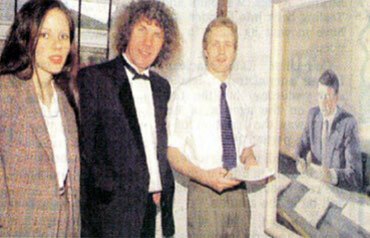 Viscount and Viscountess Stormont pictured with Charles Harris MA BA at the opening Exhibition of the World Tour. 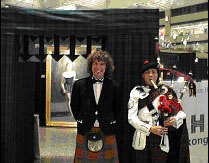 Beginning at the SECC Glasgow in Scotland, the World Tour has included Belfast and Dublin in Ireland, several exhibitions in New York, both North and South Carolina in the USA, Nizhny Novgorod in Russia, Brittany in France, Johannesburg in South Africa, Hong Kong in China, several exhibitions in Florence and Rome in Italy plus Earls Court and Olympia in London. 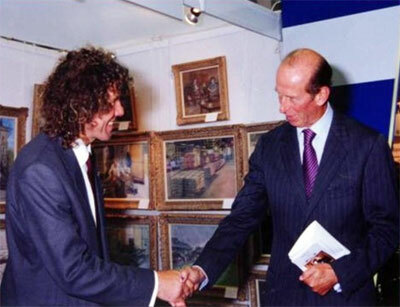 HRH the Duke of Kent with Charles Harris MA BA and International Exhibitions Co-ordinator Victoria Harding MA. 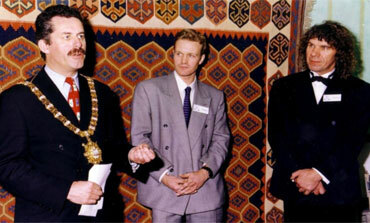 This large public exhibition was staged in the City of Nizhny Novgorod in Russia and opened by the Duke of Kent and the Governor of Nizhny Novgorod. The pictures too had their own excitement at this Exhibition. Charles sent 72 paintings to Russia and, instead of the usual container, the crated works left for Felixstowe, where they were shipped to Finland and then taken overland by road on to their final destination. To ensure the pictures came to no harm during the trip, they were transported in several temperature-controlled trucks. The opening ceremony in the City of Nizhny Novgorod Russia. 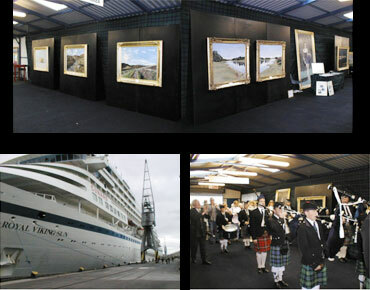 The Exhibition was organised through the good offices of the Russo-British Chamber of Commerce in association the British Department of Trade International and Scottish Trade International. 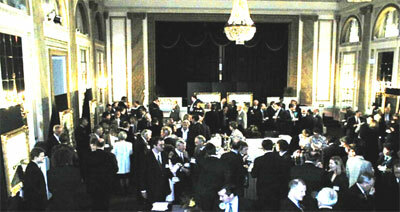 The show was opened by HRH the Duke of Kent and the Governor of Nizhny Novgorod. 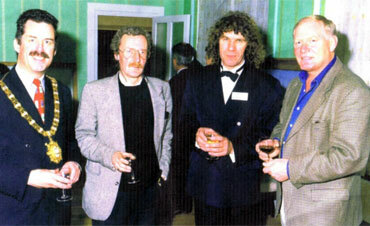 Immediately after the ceremony, Charles was featured in two early-evening news broadcasts and the following day, Charles took part in an hour-long live broadcast on Russian Network Television. For the rest of the time, the Exhibition was flooded with people seeking autographs. 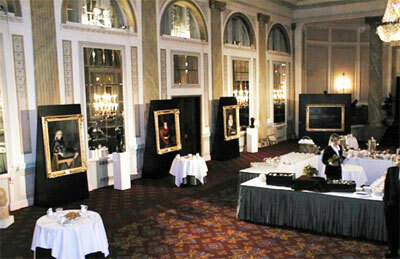 This private exhibition was staged for H.R.H. The Prince of Wales at the British Ambassadors Residence in Rome. November 2002. 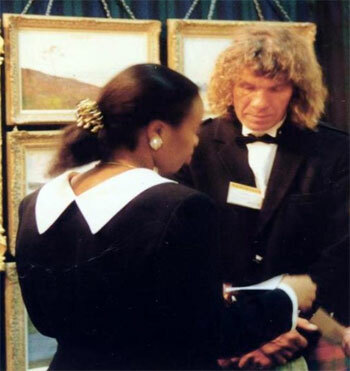 The Queen of Swaziland asked to meet Charles Harris at the International Art Exhibition after seeing the composition of his paintings. 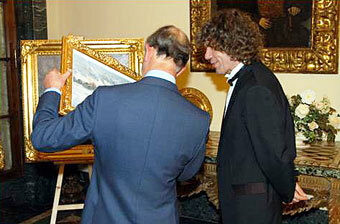 The Queen said she was impressed by the paintings and requested to meet him personally. The Queen said – “I admired the beauty in these pictures and the reality they conveyed. I immediately recognized their importance. In South Africa we have seen a lot of abstract, semi-abstract and conceptual style Art brought into our country, but we did not find it convincing.” – HRH Queen LaNgangaza of Swaziland. 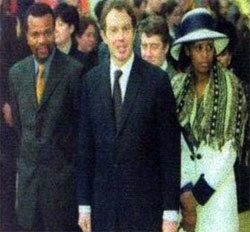 British Prime Minister Tony Blair accompanies King Mswati III of Swaziland and his wife Queen LaNgangaza in London. HRH the Queen of Swaziland with Charles Harris and Nicola Hadfield, Director of the Decorex SwazilandVenue in Johannesburg South Africa. “Charles Harris has championed ‘New Traditional Art™’ which eschews contemporary movements to concentrate on ‘the Great Tradition’ of skilful painting. 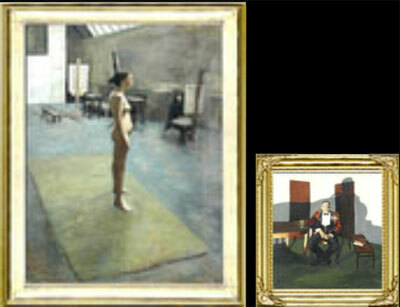 He insists that his models sit throughout the painting.” – Stephen Breen, The Scotsman Newspaper UK. HRH the Queen of Swaziland with Charles Harris MA BA and Nicola Hadfield, Director of the Decorex Venue in Johannesburg South Africa. – HRH Prince Cedza Dlamini of Swaziland, Ambassador for Swaziland, South Africa. 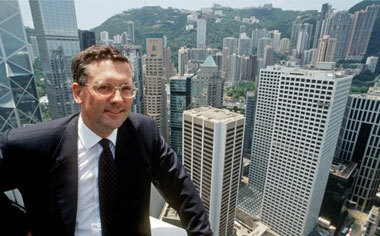 The largest of Charles’ Exhibitions was held at The Landmark in Hong Kong which came about as a result of a kind private invitation from one of the wealthiest men in the world, the Taipan of Hong Kong, Percy Weatherall, MD of Jardine-Matheson. (see photo above). The Exhibition was officially opened by the Chief Executive of Hong Kong Land, Nicholas Sallnow-Smith who kindly hosted the event. 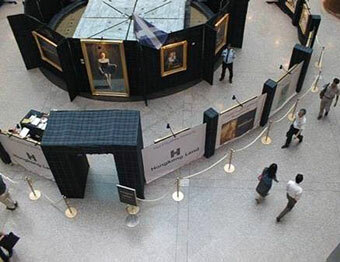 Aerial view of the Exhibition Castle designed especially in Scotland to display the work of Charles Harris at ‘The Landmark’ in Hong Kong. The Opening of the Show in Hong Kong. Local schoolchildren meet Charles at his exhibition where he also gave masterclasses, lectures and talks. 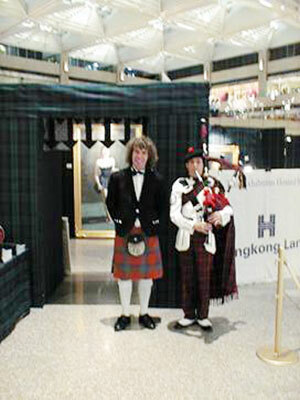 The Lord Provost of Perth and Paul Ross, Director of ‘The Macallan’ with Charles Harris at the Exhibition in Hong Kong. 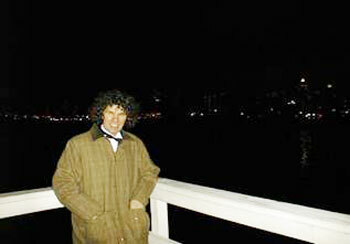 Charles received wonderful poetic reviews in three Chinese National newspapers. The scale, splendour and grandeur of Charles’ Hong Kong Exhibition was evident to all who attended and it was a major success for the Event’s principal sponsors: Hong Kong Land and The Macallan. Reacting to the closed elitism of British Arts Councils and their satellites with their apparent bias towards Modernism, Charles deliberately chose very large public venues to show his work. 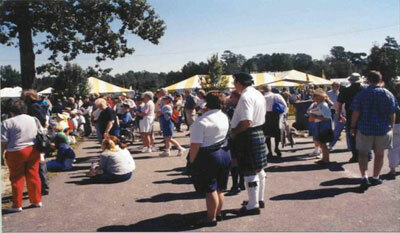 Professionally, all of these events received extensive television, radio or media coverage. 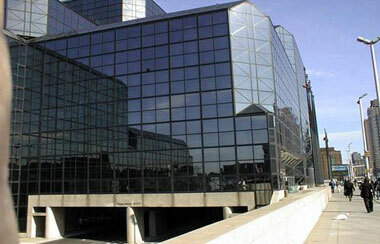 The Jacob Javetts Centre in New York – Venue for the Artexpo Exhibition. The Jacob Javetts Centre New York USA. 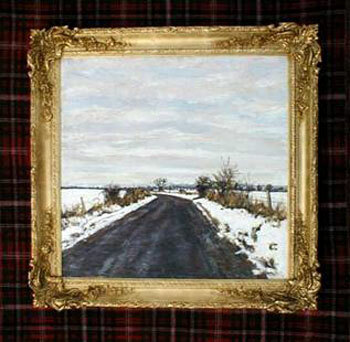 ‘The Road from Murrayshall’ by Charles Harris. 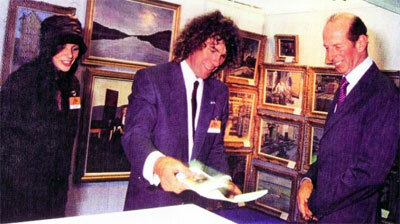 Charles pictured in front of his work ‘The Road from Murrayshall’. 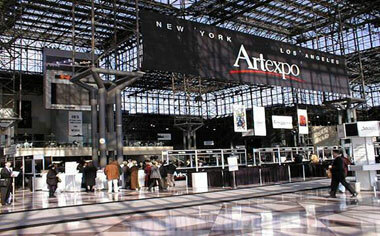 Charles’ Exhibition at Artexpo in New York. 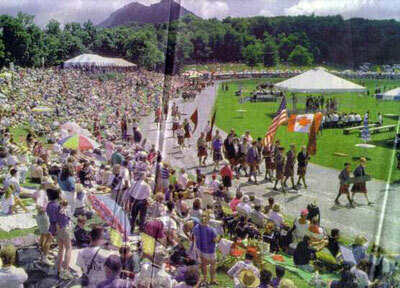 This was one of several major consecutive shows which Charles staged at the Jacob Javetts Centre in New York. Guests arriving at Charles’ Exhibition in the Jacob Javetts Centre in New York. 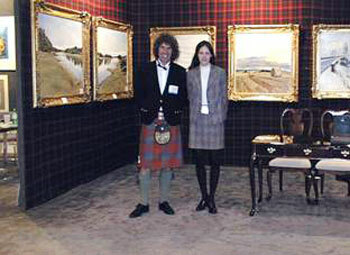 Charles Harris and his Exhibition Co-ordinator Victoria Harding at one of the Exhibitions in NewYork. 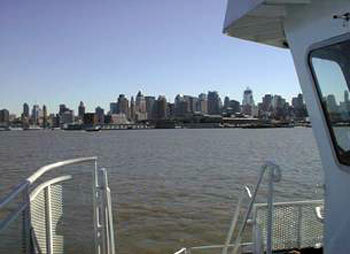 The morning crossing on the ferry. Waiting for the return ferry at night. Charles would like to thank the late Jack McPhaul and the Yale Club for their assistance in the last of his New York Exhibitions. 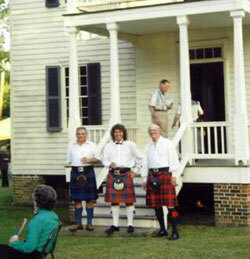 Bruce Mackie, Charles Harris and Jack McPhaul outside Jack’s famous historic house Mill Prong in Hoke County. 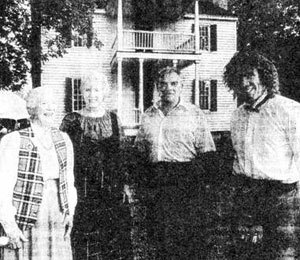 Judith Nisbet of Charlotte, Flora MacDonald Gammon of Waynesville and Bruce Mackie of Massachusetts pictured with Charles Harris. Charles with the President of the Flora MacDonald Academy in Red Springs. 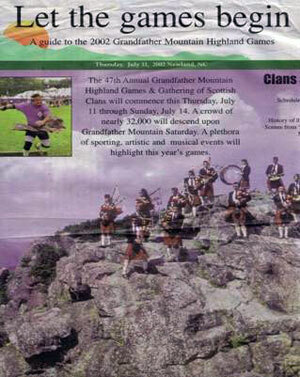 Charles at the Grandfather Mountain Scottish Clan Gathering. 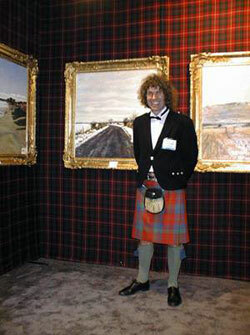 Charles, who has been frequently called Scotland’s Best Unofficial Ambassador, stages an Exhibition of traditional Scottish Art at Grandfather Mountain. This Exhibition was organised through the kind assistance and support of the Rev. Dr. Douglas Kelly, his wife Caroline and family members, together with close friends in North and South Carolina who assisted Charles with this major endeavour. The Lord Mayor of Belfast the Rt. Hon. Alban Maginnes with Charles Harris MA BA at the Belfast Exhibition. 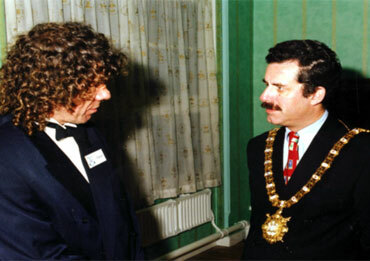 The Lord Mayor of Belfast, the Rt. Hon. Alban Maginnes opens the Belfast Show with Charles Harris and his manager Stephen Bainbridge. The Lord Mayor of Belfast and N. Ireland’s leading magistrate, Desmond Perry, pictured with Charles Harris. 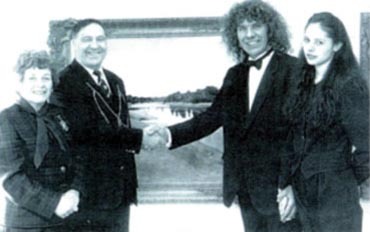 This Exhibition was also of interest to Charles for the Lord Mayor asked him to report on an Installation Art exhibition at the Riverside which was taking place at the same time. The exhibition showed a video screen with a dancer, presumably imitating the sugar-plum fairy from the famous ballet, and every time she landed, bouts of machine-gun fire rattled out through banks of loudspeakers. 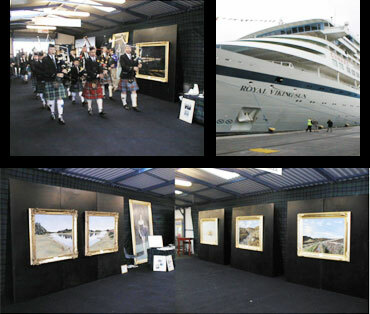 Charles’ Exhibition of pictures on display in Dublin, Republic of Ireland. 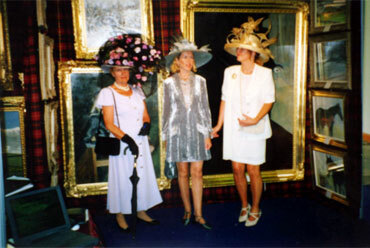 It was’ Ladies Day’ in Dublin, with a few of the many exotic hats seen at Charles’ Exhibition. 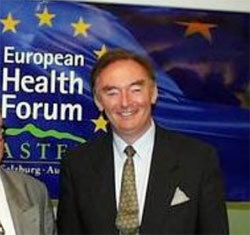 Padraigh Flynn European High Commissioner. “Looking at this work, I have never learned so much about painting in such a short period of time.” – Padraig Flynn, European High Commissioner, Dublin, Ireland. 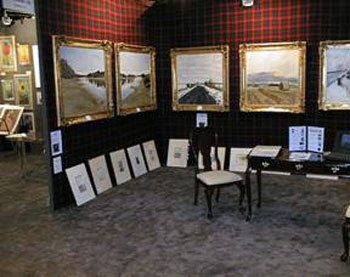 The Exhibition at the SECC Glasgow Scotland. 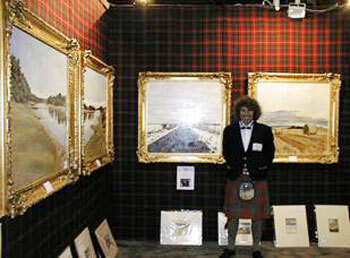 Charles choosing work for the Show at the SECC Glasgow. In Dundee, the work of Charles Harris was chosen to provide the first point of contact for the passengers on the Cunard liner Royal Viking Sun as it arrived in Scotland. This kind invitation was received from Caroline Smith, Scottish Ports Authority, Dundee, Scotland. Charles Harris’ Exhibition at Dundee Scotland. “I saw this work and immediately knew this is what we wanted as the first point of contact to represent Scotland.” – Caroline Smith, Scottish Ports Authority, Dundee, Scotland. Charles staged his first public Exhibition in Italy at the British Institute in Florence, where he later staged a series of Masterclasses. The Exhibition was organised through the kindness of Christine Wilding, Director of the British Institute and was opened by the British Consul-General Moira McFarlane. The Director of the British Institute Christine Wilding and the British Consul-General Moira McFarlane at Charles’s Exhibition at the British Institute in Florence Italy. Christine kindly provided excellent translations throughout the Exhibition. 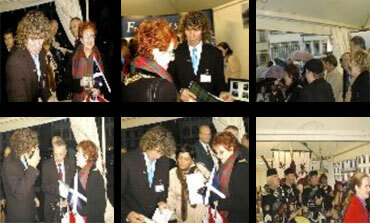 British Consular-General Moira McFarlane who opened the Exhibition at the British Institute in Florence. Charles was featured on RAI State Television in Florence Italy in a live thirty minute interview on their Culture channel plus he received several major newspaper features for his Exhibition at the British Institute Florence Italy. For the thirty minute private interview on RAI Television, Christine Wilding kindly again provided outstanding translations for this event. The Lord Provost of Glasgow the Rt. Hon. 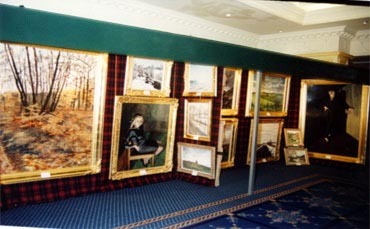 Elizabeth Cameron MA (featured above) said, “Your landscapes of the Perthshire hills are beautiful. They remind me of the Lomond hills”. Opening of the Event – representing Florence The Mayor of Florence Leonardo Domenici. 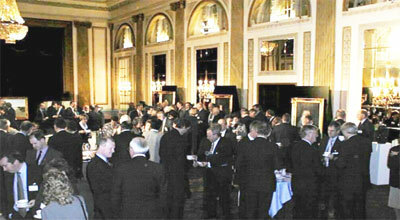 The Opening of the Event – representing Edinburgh The Lord Provost of Edinburgh the Rt. Hon.Lesley Hinds. 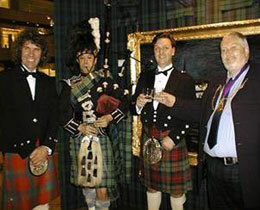 The Opening of the Event – representing Glasgow The Lord Provost of Glasgow the Rt. Hon. Elizabeth Cameron MA. 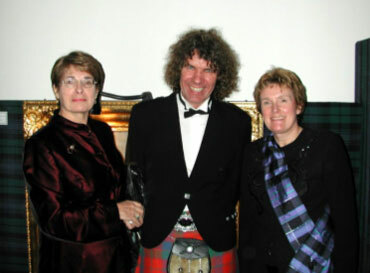 This second in a series of Scottish Market Events was organised through the offices of the Scottish Executive in Edinburgh and the British Consulate in Florence. 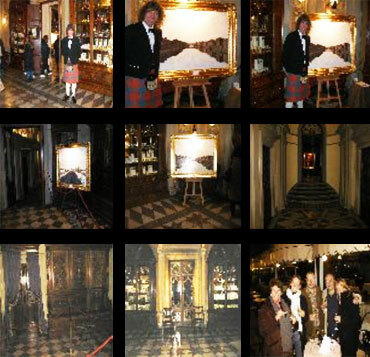 On this occasion, Charles was honoured to be invited to exhibit his paintings in the Officina Profumo, a world-famous historic building in an equally famous Square in Florence – Santa Maria Novella. 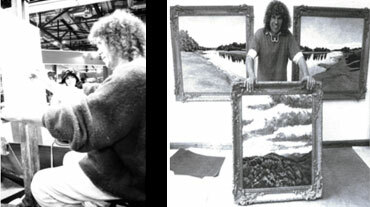 As well as Media coverage, Charles’ pictures were filmed for local Italian television, where he also gave a private interview describing his works. Considering the importance of this building in Santa Maria Novella, the photographs selected below have been chosen to present this aspect. The interior and frescos at the Officina Profumo in Santa Maria Novella Florence. 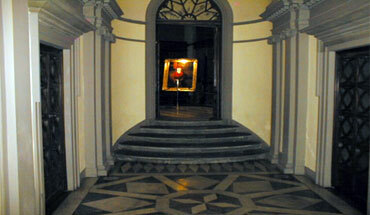 Both Entering and Exiting Charles’ Exhibition at the Officina Profumo Santa Maria Novella Florence. Charles staged two consecutive Exhibitions at Earls Court and Olympia and was honoured to be asked to speak on Italian Renaissance Painting, a subject on which he is now considered an authority. 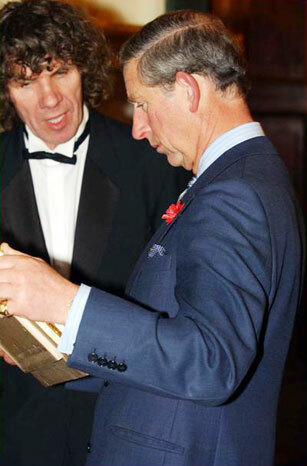 These Shows attracted much attention and both Charles’ popularity as a speaker and the popularity of his Masterclass seminars increased over both Events. In the second year he also sat with a panel of experts advising on Art in Italy, its location and the quality one should expect from the country that created European Art from the Great Tradition as we know it today. For the Italian Exhibition in London, Charles specifically chose Italian paintings. These included the Ponte Vecchio (the world’s most famous bridge) and the Ponte Santa Trinita in Florence, which was designed by Michelangelo. We have included below three photographs showing Charles painting the Ponte Santa Trinita from life on location in Florence. 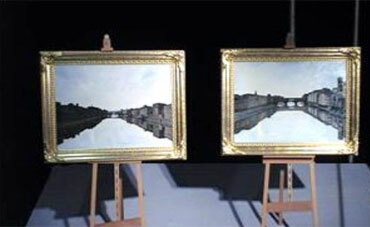 Charles working on the painting of the Ponte Santa Trinita. Alike with the Ponte Vecchio, completed a year earlier, this work was painted between 6am and 1pm in the blistering heat of a Florentine summer. 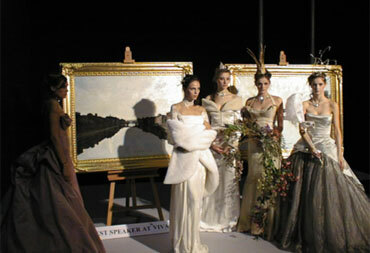 The second of these paintings was completed specifically for the Italian Exhibition at Earls Court in London. It illustrates clearly the traditional realism of Charles’ work and the popularity these paintings generated, especially with the Italians. Charles’ paintings of the Ponte Sante Trinita and the Ponte Vecchio Florence Italy. Charles pictured delivering a Masterclass Seminar at Earls Court and with one of the models from Models One. We have also included a further example demonstrating the popularity of these Shows where Charles received a special request to be photographed in front of his paintings from the models of ‘Models One’ – London’s leading modelling agency. 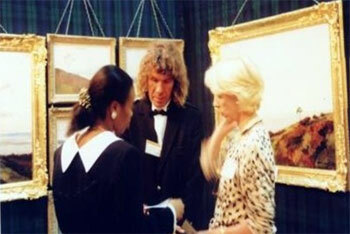 The paintings of Charles Harris with the models from ‘Models One’ pictured at Earls Court London. 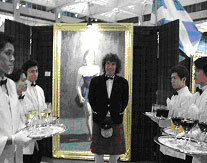 Models from ‘Models One’ posing with Charles’ paintings at Earls Court London. 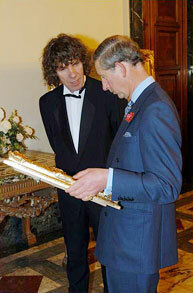 Charles constantly considers requests to stage Exhibitions all over the world. 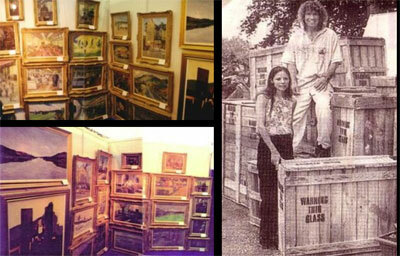 If you would like him to stage a traditional Exhibition for you, please contact us with your details.